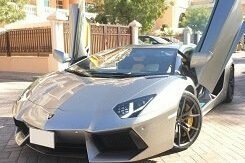 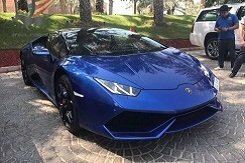 Rent a powerful, daring and delightful Lamborghini in Dubai on favorable terms. 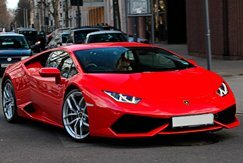 We offer a choice of two popular models: Aventador and Huracan from Lamborghini. 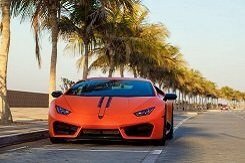 Aggressive control and instant acceleration are two distinctive features of this car. 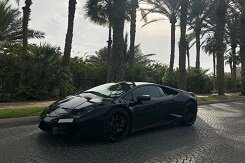 Engines in Lamborghini - full-fledged atmospherics without turbo-propellant in 740 forces, and a seven-speed automatic transmission in a classic version. 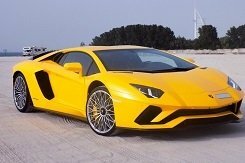 Rent any car brand in Dubai is possible from day to month. 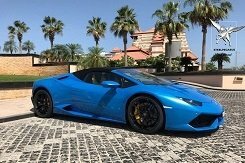 Thanks to the high-tech carbon fiber alloy and composite materials used in the production of Huracan and Aventador bodies, a minimum car weight is achieved, which improves maneuverability and acceleration. 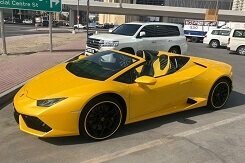 The maximum speed of Lamborghini exceeds 350 km / h.
The rental price of cars includes full insurance: discard any worries for the car and just have fun driving in the luxurious city of Dubai!